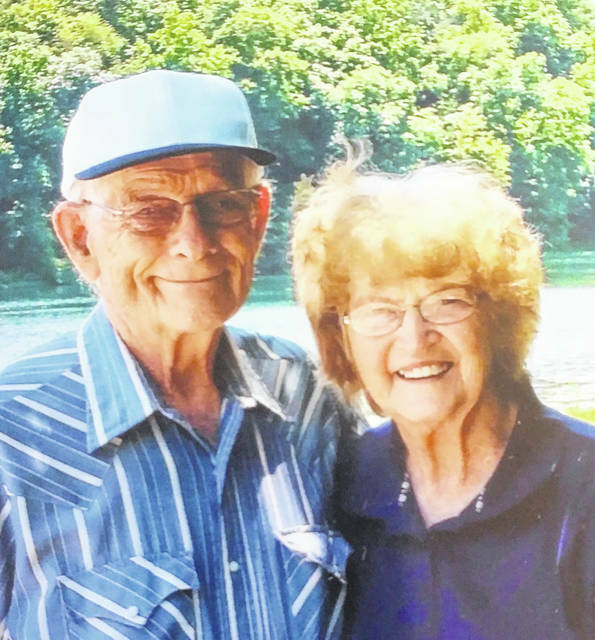 Raymond and Rosealee DeLille celebrated their 65th wedding anniversary recently. They were married on January 12, 1954 in Gallipolis. Raymond was employed by A and P Grocery until it closed. He Retired from the Ohio Department of Transportation. He was also in the United States Army, stationed in Germany, and Rosealee joined him there for two years. Rosealee was employed by Wellman Jewelry and Paul Davies Jewelry. They were owners of DeLille’s Malt Shoppe in Rodney. They have three children, Mike DeLille of Rodney, Robin (Ed) Caudill of Rodney, and Kindra (Ron) Robbins of Florence, Ky. They have four grandchildren and seven great grandchildren. The couple resides in Rodney.